I earned all these badges, dagnabit. 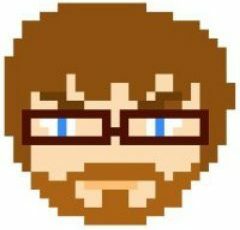 Up until a few months ago, I was very bored by the whole idea of issuing badges for completing certain tasks, obtaining new skills, or just doing something in general. Foursquare was the first badge system that I had participated in and, quite frankly, I could’ve cared less about earning new badges. This summer, I worked on some projects with Mozilla, specifically HIVE Chattanooga and the Mozilla Community Gigabit Fund. 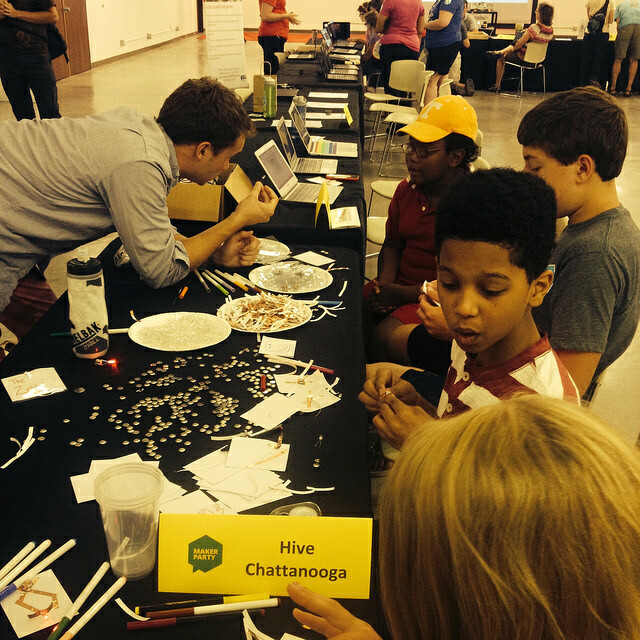 We helped out with the HIVE NYC Maker Party in the Bronx, NYC, threw our own Maker Party in Chattanooga, TN, and even dabbled around with Webmaker a bit for our Summer Program at the Chattanooga Public Library. All in all, it was an exciting summer filled with great collaboration and great work. And every once in awhile when some work was completed, I would get an email from Mozilla saying “you earned this badge”. The image you see above shows the badges that I earned over the past few months, and dagnabit, I’m proud of those badges. They look awesome and they share that I’ve been a part of something pretty cool. Now my outlook on badges has changed. I’m most curious about exploring Mozilla’s Open Badges and how we can use them at the Chattanooga Public Library for not only programs but also volunteers. Just imagine the kids, tweens, and teens earning badges for being part of their local library. Take that to the next level and you can issue badges for your teen volunteers when they complete certain tasks around the library. 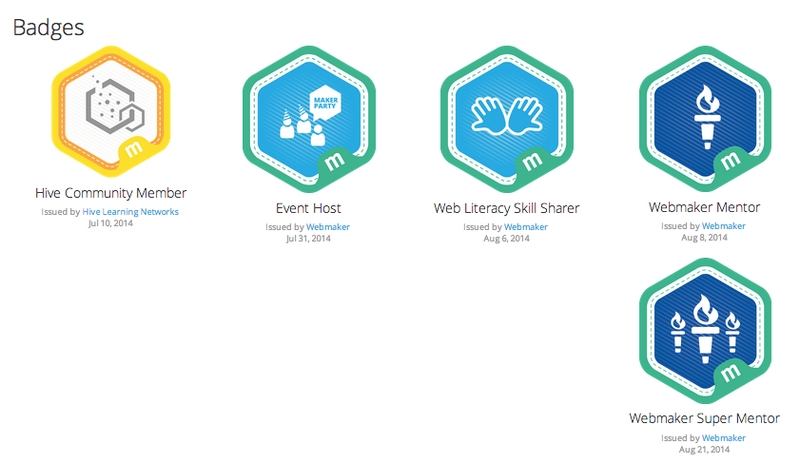 When they’re applying for colleges or jobs, they can share those badges to show off the skills they have. Here at the 2nd Floor of the Chattanooga Public Library our teen volunteers have become our unofficial “3D Printing Gurus”. They walk the patrons that are curious about 3D printing through the process from beginning to end. Now just imagine if we gave them a badge to show how they’ve learned this particular skill. That’s some next level awesome library stuff we’re talking about here! Previous Hello Chattanooga Part Deux!